Dubai cruise and stay holidays combine one of the world's most exciting cities with a wonderful cruise around the Emirates. Cruise and stay holidays offer the perfect way to immerse yourself in local culture, enjoy local cuisine and sites and make the most of a wonderful destination, before enjoying a delightful cruise. After making the most of Dubai's shopping and culture, enjoy a wonderful cruise with Royal Caribbean or MSC Cruises. 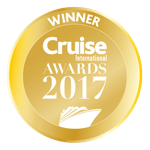 Once onboard your cruise enjoy the amazing food, fantastic service and great entertainment available, while enjoying great the destinations. Dubai cruise and stay holidays are a great way to relax, explore and discover new cultures and destinations in one holiday. See more cruises to Dubai and the Arabian Gulf.